Over the last few years, I have seen quite a few examples of tomato cage Christmas trees on Pinterest. Most of them seem to incorporate some sort of garland to wrap around the cages and create a base to work with. But, I didn’t want that look, and I couldn’t seem to find a good tutorial on how to make the trees using just tomato cages and lights. So, after a bit of trial and error I came up with a good system! After my brilliant idea to make these trees, I realized that it is nearly impossible to find tomato cages during the late Fall / early Winter months. I reached out to some friends and family, and luckily I found a few cages to borrow. If you don’t have friends to borrow from, you can always find tomato cages of different sizes on Amazon! Start by wrapping the round horizontal pieces of your tomato cage with the light strand. I found it easiest to start at the bottom. That way, once you reach the top you can tightly wrap the light strands around the tomato cage to give the look of a tree. 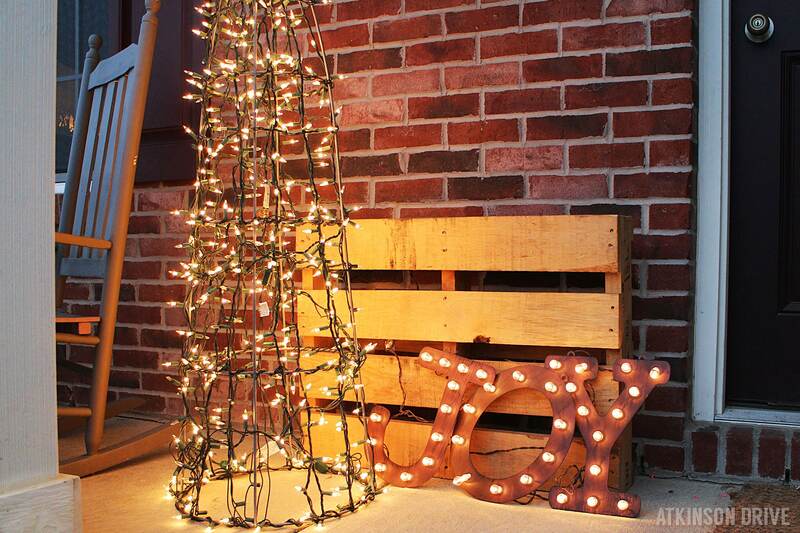 Now that you have the structure down, take your light strands and run them vertically up and down around the tree. To make one large tree (and by large I mean almost 5′ tall), it took me 500 lights; and to be completely honest, I would have been totally find with using a few more strands! I am so thrilled with how my tomato cage Christmas trees turned out! 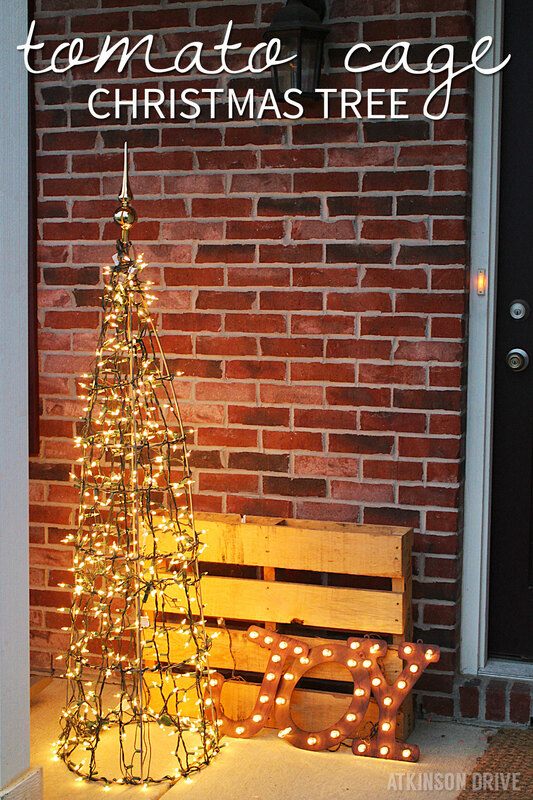 As you can see, I used a large tree by my front door to add some sparkle to the entry. You could also make a tomato cage “forest” in your front yard by wrapping 3-5 different-sized tomato cages in tons of lights. I also love the idea of adding plastic ornaments to the tree for a colorful element. So cool. I’ve always wanted to make one of these! Maybe this year will be the year… thanks for the tutorial!